Coloring Zentangle designs is a perfect brain break or relaxing activity when students finish their work early. This detailed coloring sheet is also perfect when you need a no-prep, easy sub plan. 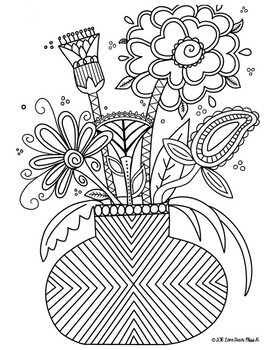 This coloring sheet and design is for personal use only. You may copy this design as much as you like for your students only. Please do not share this design with others or sell it.